It's my first time posting here, so hello to all! 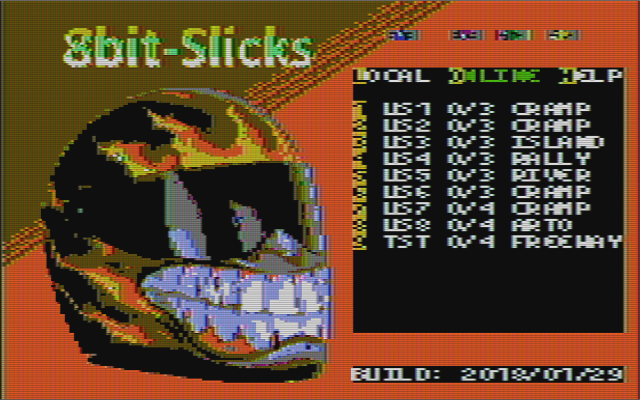 For the past 12 months I have been developping an online top-down racer called "8bit-Slicks" for the Apple/Atari/C64. The Apple IIe version is progressing very well, and I hope to release in 2 months from now. The game requires an 80 column card for Double-Hires GFX, and Uthernet and LanceGS card to play online. It is also compatible with AppleWin, which emulates the Uthernet card! I am dropping some screenshots down here to give you an idea of where I am now. I have got some exciting news: I completed both the C64 and Atari versions after a long hiatus (doing some final testing this coming week-end). I am trying to finish debugging the Apple version, but that is somewhat more difficult (the platform has no hardware sprites). 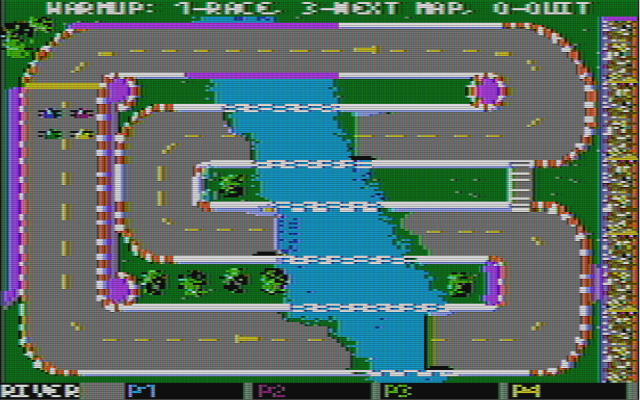 In ANY CASE, I will release the game shortly before Xmas, so we can all enjoy a winter break of online racing with our old C64s and Ataris!!! Now is the time to register your 4 letter username!! !